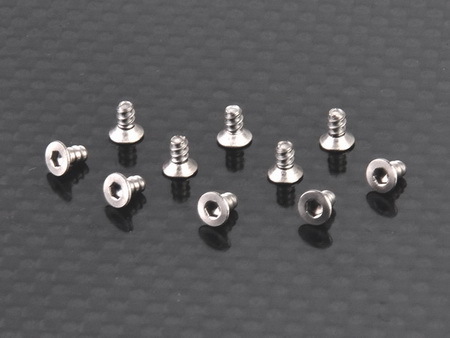 Home :: RC Car Parts :: Mini-Z Parts :: MA-010 / 015 /020 Parts :: Flat head tapping screw 2x4mm (TKB) Titanium 1.5 Hex. Flat head tapping screw 2x4mm (TKB) Titanium 1.5 Hex. Flat Head Tapping Screw 2x4mm (TKM) Titanium 1.5 Hex.